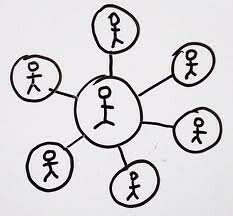 Today’s modern web 2.0 driven world is marked by a strong and abundant presence of online customer communities. These groups of like-minded individuals come together and interact online around a brand or a set of product and services. They discuss their needs, customer experiences and suggestions for product or service improvements. Using enterprise social networking technology, organizations can tap into the customer community by creating a real-time communication loop between product and service development teams and customers. In this way organizations can keep pace with the changing needs of their customers. OneDesk is a software-as-a-service (SaaS) company that is leading the market in providing products and services that help organizations realize the benefits of social product development—one of the fastest growing trends in the technology industry. With OneDesk, organizations can use prioritization and collaboration to respond faster to changing market conditions. If you want more information about how OneDesk can help you drive product innovation through customer community building sign up for a free account. Interesting blog post, all your writing got me thinking about the future of our “social product development.” While our product is transitioning between “technology” and “product” I am looking at software for gathering feedback for the near future. There is one question on my mind, and you can email me or write a post about it: “How do I incentivise customers to provide feedback?” Sure I know that some customers will provide feedback out of passion for the product, and that is great. What about the rest? Have you seen cases of: points & game mechanics, contests, coupons, future discounts, or other “rewards” to solicit feedback and thus entice client (feedback provider) adoption. Yes, I have seen examples of such incentive programs and I can definitely recognize their value. However, this type of interaction may be too transactional in nature and may not provide the opportunity to collect valuable insight. I think organizations need to move beyond the website “feedback form” and explore other channels of communication to capture feedback and engage with their customers. Keep an eye on for more development in this area.